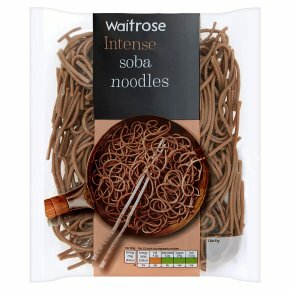 INGREDIENTS: cooked soba noodles (97%) (wheat flour, buckwheat flour, water), rapeseed oil. Time: 5 mins. Stir Fry …Heat dry wok for 2 minutes over a medium to high heat. …Add 1 tsp oil and noodles stir fry for 3 minutes, turning frequently, until piping hot. …Serve immediately. Do not reheat once cooled.